Here you'll find everything you need to know about Kettle Moraine Veterinary Clinic and how we can assist you and your pets. 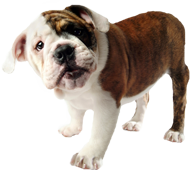 We have online forms for everything related to our Plymouth veterinarian clinic. From contact forms to consent forms. You will also discover a " What to expect at your first visit" to ease any worry prior to your first in person visit. If you can't find information or still have questions, feel free to contact us.